April 14, 2017, Saint Paul, MINN. — Forecast Public Art is partnering with the American Planning Association to develop and pilot a Public Art and Placemaking Tool for City Planners, made possible through the generous support of the National Endowment for the Arts Our Town Initiative and Southern Minnesota Initiative Foundation (SMIF). Public Art and Placemaking Tool for City Planners is a two-year pilot project to develop a public art and placemaking learning tool for planners and professionals serving small and mid-sized American cities. Through this project, Forecast seeks to fill a void in the current options available to professional planners, as well as those in allied professions, such as urban design, engineering and architecture. 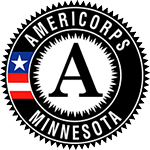 Five cities in Minnesota have been selected by Forecast to participate in the pilot project in 2017 and 2018: Austin, Mankato, Red Wing, Rochester, and Winona. Forecast Public Art will facilitate the pilot project using its extensive experience in all aspects of public art, community-engaged design and placemaking. Forecast has advanced dozens of strategic, community-based projects and visions across the United States. A focus of the pilot project is improving the health of the five selected cities, which includes the physical health of citizens, economic prosperity, community wellbeing, social cohesion, livability and a healthy environment. “Healthy cities boast a quality of life that helps attract and retain talent, businesses, industry, as well as cultural vibrancy,” said Tim Penny, head of the Southern Minnesota Initiative Foundation. Forecast Public Art fosters dynamic, inclusive and resilient communities through public art, community-engaged design and transformative placemaking. For nearly 40 years Forecast has improved the collective life by connecting the energies and talents of artists with the needs and opportunities of communities. Forecast is respected regionally, nationally and internationally for a unique combination of responsive consulting services, support for public artists, and abundant resources, including Public Art Review, the world’s leading public art journal. Visit www.forecastpublicart.org to learn more about Forecast Public Art. 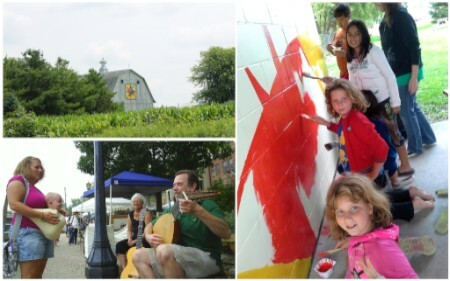 National Endowment for the Arts Our Town is a grant program that supports creative placemaking projects that help to transform communities into lively, beautiful, and resilient places with the arts at their core. Creative placemaking is when artists, arts organizations, and community development practitioners deliberately integrate arts and culture into community revitalization work - placing arts at the table with land-use, transportation, economic development, education, housing, infrastructure, and public safety strategies. This funding supports local efforts to enhance quality of life and opportunity for existing residents, increase creative activity, and create a distinct sense of place. Visit https://www.arts.gov/ to learn more about the National Endowment for the Arts.